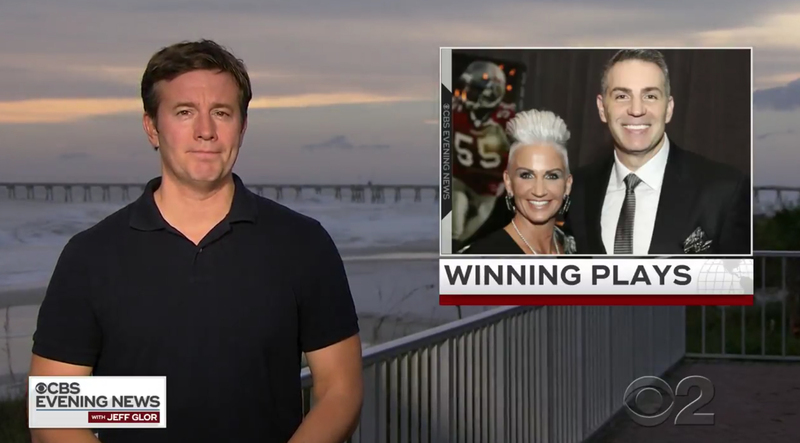 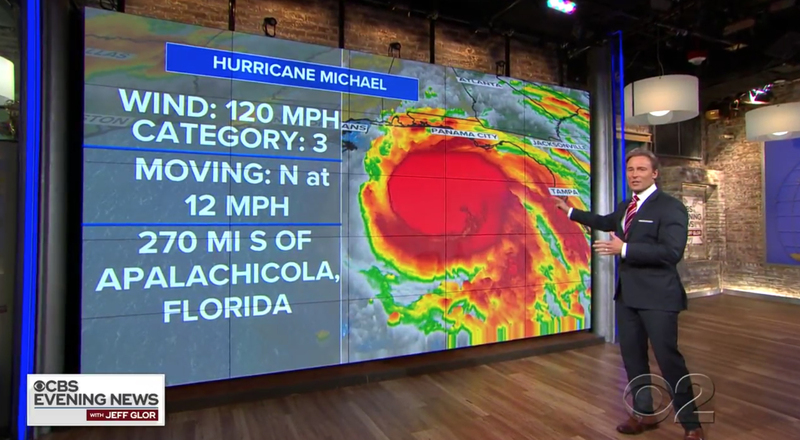 While “NBC Nightly News” was in the middle of its Across America tour in Montgomery, Alabama, “ABC World News Tonight” and “CBS Evening News” were in Panama City, Florida as the region prepares for Hurricane Michael. 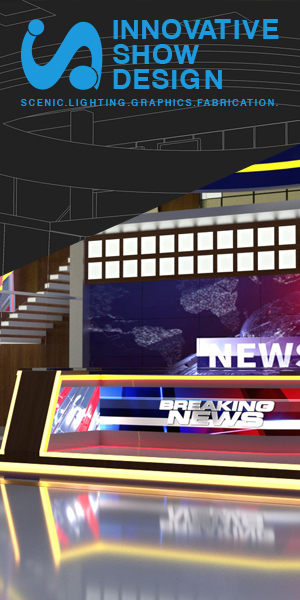 WCBS forecaster Lonnie Quinn joined ‘CBS Evening News’ from Studio 57 in New York using the one of the set’s video walls for weather maps. 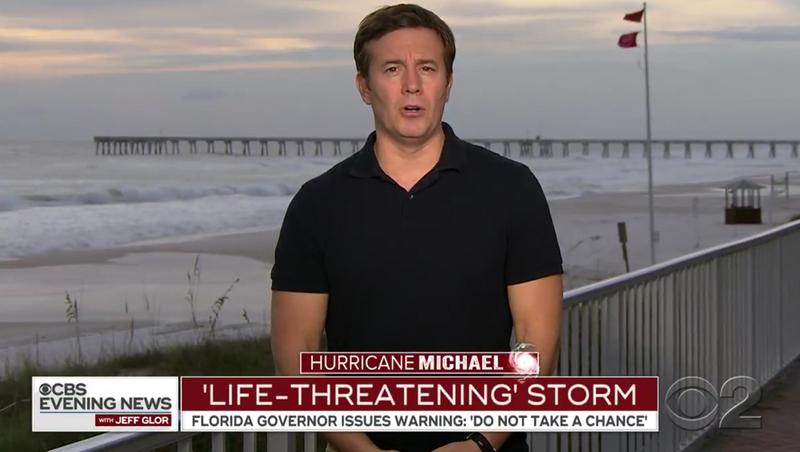 ‘CBS Evening News’ used relatively wide shots with OTSs from anchor Jeff Glor’s outdoor live shot location.